The unlikely ingenues at Ogilvy put together a moving set of prints that sweetly admonish, "Adopt. You will receive more than you can ever give." 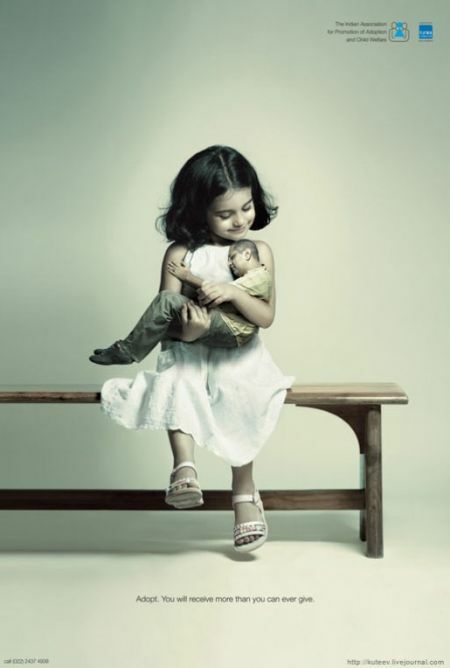 The campaign is for the Indian Association for Promotion of Adoption and Child Welfare. We love it, we really do, but we wonder whether it doesn't ever so softly whisper, "Adopt. For love." They should have Madonna in this ad..